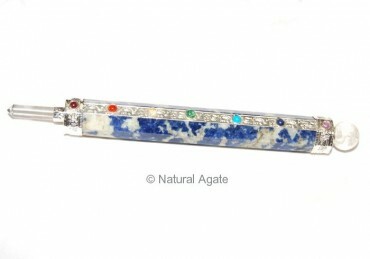 Lapis lazuli Chakra Wand from Natural Agate enhances your psychic and intuitive abilities. It facilitates in experiencing spiritual energy and power, bringing an inner peace. The length of the wand is 3-7in.